So I told you about the ice cream we had in Door County, but I forgot to mention that the creamery grounds also featured farm animals. Because why not? 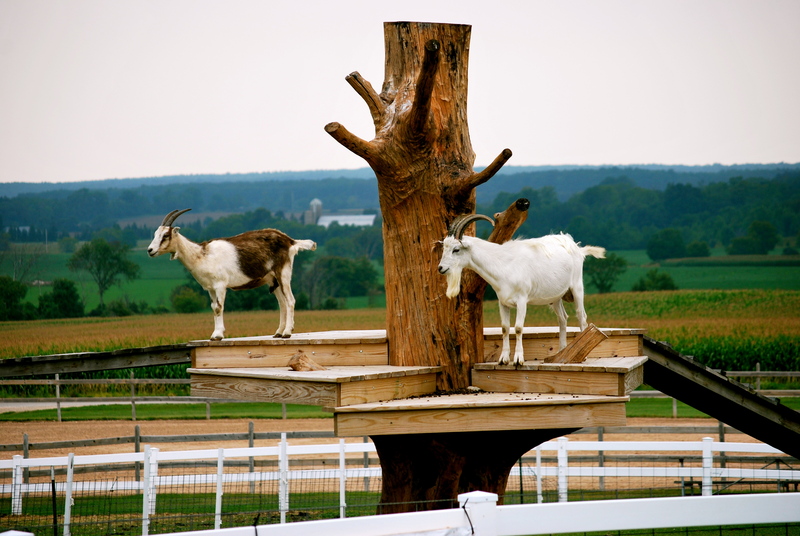 And what a life these animals lead—they’ve got three square meals, a spectacular view, and even a jungle gym just for goats.